Now in its 15th year, this tribute to ‘The King' has, over the years, been fronted by the very best Elvis performers and features original members, Mervyn Boyd (guitar), Graham Kinkead (drums), Davy Cahill (bass) and the wonderful Sweet Sensations (Diane, Kelly and Paula). This year, we welcome a brand new frontman, CC Houlihan who is set to thrill local Elvis fans with his stunning performance. He looks like him . . . he sounds like him . . .he moves like him! 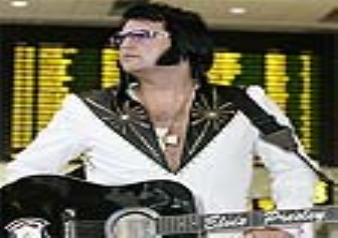 Don't miss The Elvis Spectacular - this is the closest you will ever get to experiencing a real Elvis concert.